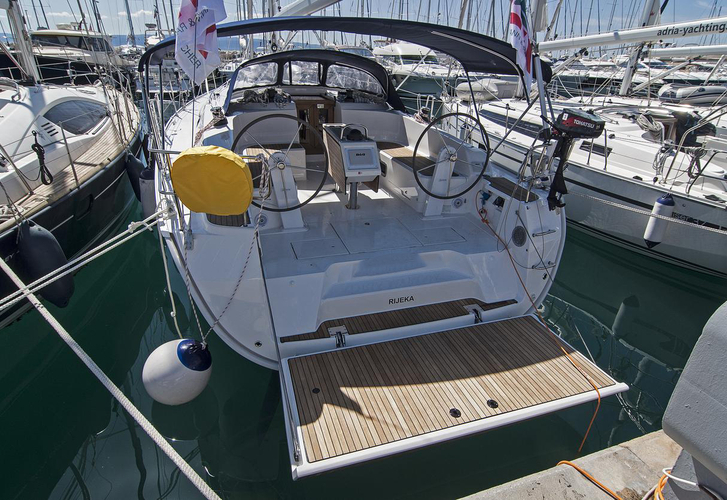 Sailboat Bavaria Cruiser 46 called Adria Myriam has been produced in 2017. 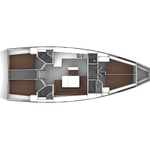 We offer this vessel from base Split in the region close to Split. Adria Myriam is certified for 10 passengers. Layout of the vessel is 10 (8+2). 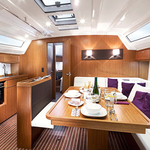 Bavaria Cruiser 46 Adria Myriam is equipped with 4 cabins. For comfort of passengers there are 3 bathrooms. With engine 55 Adria Myriam can navigate really fast. Adria Myriam is 14.27 meters long and 4.35 m wide. Draft is 2.1 meters. 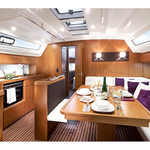 See other yachts here: Yacht charter Split. 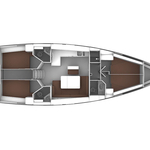 Boat's equipment includes : Bed linen & towels. . Security deposit accounts for 2000.00 EUR. 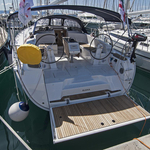 Choose our offer and have good time on the deck of Adria Myriam. 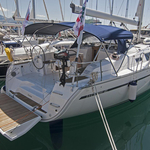 This Bavaria Cruiser 46 from Split from Croatia You can see by moving to this section: Yacht charter Croatia.